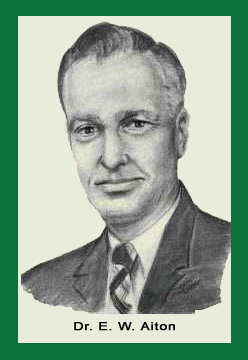 The following is from the July, 1960, monthly column, “Washington News and Views,” by the federal Extension 4-H staff, which appeared in National 4-H News. This particular column was written by Dr. E. W. Aiton, Director,, 4-H and Young Men and Women Programs (YMW). “4-H pops up in the most interesting places! Now it’s in the big time motion picture business. I’m writing this article from Hollywood, California. Tomorrow morning we give a final review and approval to a feature-length movie that’s all about a 4-H community in Katy, Texas. The title is ‘Tomboy and the Champ.’ You’ll see it soon in your neighborhood theatre. “The part of the ‘Tomboy’ is a very nice but determined little orphan girl. You’ll shed a tear or two because polio nearly spoils her 4-H hopes and dreams. but her foster parents, the local club members and an understanding rural pastor help her over the rough places. We hope you like it. “We always get a tremendous thrill out of working with folks who see in 4-H a chance to tell a wholesome story about the good things that happen in America. This motion picture is another example. “So ‘Toots’ — my Holstein 4-H heifer — became an experimental foster mother for about six months. The whole town was mighty pleased that tiny Judy began to feel better right away. at three, she started singing with her father on the stage at the local theatre, between the first and second shows. And later, )you’ve already guessed it) she changed her name to Judy Garland, whom you know as the film and TV icon.